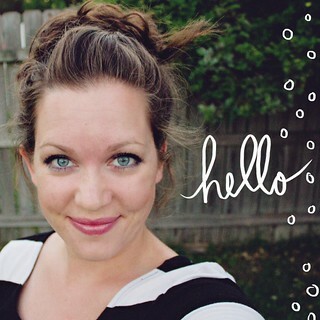 I am doing Freaky Friday over at Blue Cricket Design and Becca is coming over here! 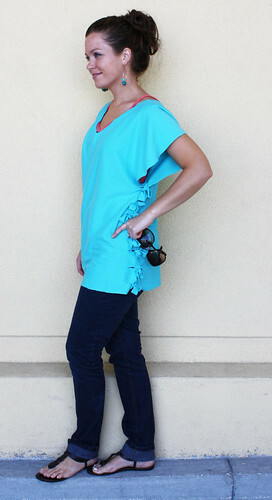 Head over to her blog to see my tutorial for a No Sew Poncho. It’s super easy and anyone can do it! 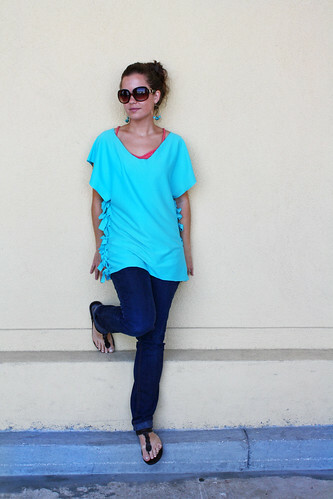 All you need is fabric, scissors, and a shirt of your own to help as a sizing guide! Ah, as always, you are too cute! I love that poncho too! So summery!